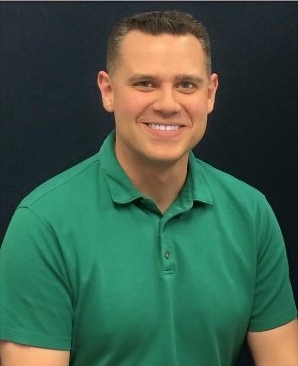 An Augusta native, Jake Milbradt graduated from The University of Kansas School of Pharmacy in 2004. After graduation, Jake first began his career as a pharmacist at a chain pharmacy in El Dorado. "It was a very stressful situation," says Jake. "We weren't given the resources or the staffing to adequately take care of our patients. By the time Mike called me in 2005 to ask me about joining TrueCare, I had grown more and more dissatisfied with my job." When Jake first visited El Dorado TrueCare Pharmacy, he didn't know what to expect. "I really didn't know much about the place," he explains. "I knew there was this 'other' pharmacy in town, and we would usually refer our patients to them for hard-to-find drugs and medical products, but that's about it. Being independently-owned, I assumed that they would have old, outdated computer software and other technology. When I first set foot in the pharmacy, however, I was blown away by the high level of both professionalism and technology. My previous employer wouldn't even allow us to utilize the internet to look up drug information." Since entering the world of independent pharmacy, Jake has learned a lot. "Since I've come to TrueCare, I've learned what it's like to really take care of people. My last week at my previous place of employment, another pharmacist said he was jealous because I was going to have an opportunity to 'practice real pharmacy'. At first, I had no idea what he meant, but now I completely understand." Jake currently resides in rural Benton and has two children, Ian and Emma. Jake also has many family ties to El Dorado, including his grandparents, aunts and uncles, and numerous cousins. In addition, Jake is very proud that one of TrueCare's oldest patients is his 103 year-old great-grandmother, Hazel Marty. "Grandma Hazel" has been a patient of El Dorado TrueCare Pharmacy since Jake was in grade school. "When I first came to work in El Dorado, most of my family members started coming to me to fill their prescriptions," says Jake. "Grandma Hazel refused to leave TrueCare, however. She displayed that classic loyalty that TrueCare patients are famous for. After seeing the TrueCare difference firsthand," Jake says, "I don't blame her one bit."